What does this mean for the Ocala Housing Market? I personally think this is great news for the Ocala housing market. We have some of the lowest wages in the state of Florida and it can very difficult for a family to save for a large deposit. Many will argue that the recent mortgage troubles were brought on by the low, or zero, down loans, but I disagree. Many lenders were following the governments lead in offering such products as zero down and no income verification. That’s right, NO INCOME VERIFICATION! I saw it first back in the late 90’s to early 2000’s with Fannie Mae loan products tailored to meet the needs of workforce, or called “Workforce Housing.” The name sounds great and initially the program sounded like a great idea. Lets reach out to people who are teachers, nurses, law enforcement and on and on and on; they decided to make loan products to simplify the entire process. However, what started as a great idea kept growing to include too creative and too exotic of loan products. The banks and lending institutions really had no choice but start offering ALL of these products or miss the boat on profits from all of the newly qualified pool of buyers. Just because the loan down payments are low does not mean the buyers will default. Since 2006 buyer have been experiencing very tight lending standards and it has been sidelining many potential buyers the last few years. “Lenders are putting more focus on purchase mortgages and are adjusting minimum requirements to attract borrowers,” says Doug Lebda, LendingTree founder and CEO. “With home values improving, the risk of borrowers defaulting on loans has decreased, giving lenders more confidence to lend with less cash down from qualified borrowers.” The average down payment on a 30-year, fixed-rate mortgage fell 2.74 percent from the second quarter to 15.73 percent of the home’s value in the third quarter, according to a new report from LendingTree. Many banks are now offering 5-percent down loan payments with Bank of America, Wells Fargo and TD Bank all jumping in, however many are still requiring PMI(Private Mortgage Insurance) until 20% equity is gained on the home. I recently closed on a transaction with Campus Credit Union on conventional loan for 5% down. Traditionally a conventional loan would of required a minimum 20% down payment. I firmly believe people are better off to be homeowners than renters. It has traditionally been the greatest source of increased wealth in America. I know the last 6-7 years things have not went in the right direction, but it is still a better future investment to own a home instead of renting. Not to mention, rental rates have increased year over year, you can buy a home including taxes and rent for cheaper than you can rent a comparable property. 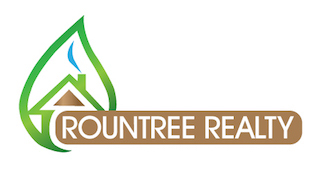 Rountree Realty and our agents can help you secure some great financing. Give us a call, text or email us for a list of options.